MOSCOW, January 10. /TASS/. Ankara’s plans to carry out a new military operation in Syria are not related to progress of the US troops’ pullout, Turkish Foreign Minister Mevlut Cavusoglu told NTV channel on Thursday. On December 19, US President Donald Trump announced Washington’s decision to begin the withdrawal of US forces from Syria. He noted that the United States had succeeded in its mission to defeat the Islamic State (IS, terror group, outlawed in Russia) and that it was time to bring American troops home. According to US officials, the withdrawal of the US forces will take from 60 to 100 days. 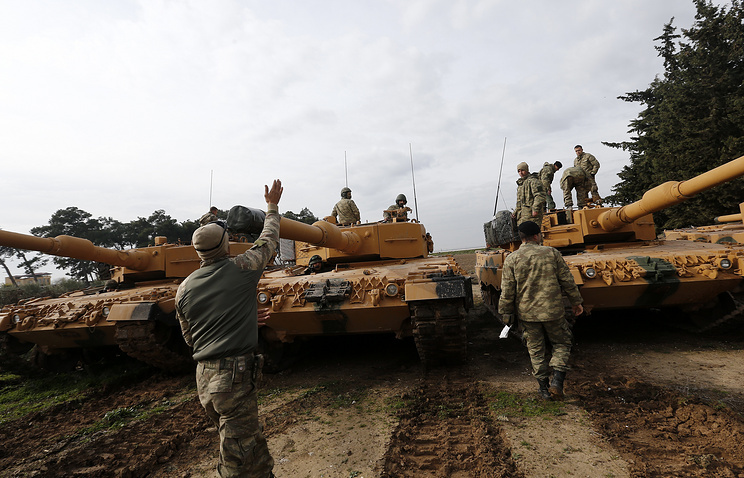 Ankara gave a tough response to Bolton’s words, as Turkish President Recep Tayyip Erdogan described Washington’s demand that Turkey ensure the safety of the Kurds in Syria as a serious mistake. He said that Turkey might launch an operation against Kurdish units in northern Syria anytime following Bolton’s visit to Ankara.